Medicare’s Open Enrollment period is October 15 to December 7. During this period, you can make changes to your existing benefits plan. The changes are in effect for the year beginning January 1, 2018. Only beneficiaries can make changes to their benefits plan during this period. If you are eligible for Medicare but have not enrolled, you are supposed to sign up for Part A 90 days prior to the first of the month of your 65th birthday. For example, if your birthday is November 29, you are eligible for Medicare as of November 1st but can sign up as soon as August 1st . In either case, your Medicare insurance broker will help you determine how to select the plan to best address your healthcare needs. You also have the option of working with a certified financial planner, who can advise you on how the costs will affect your long-term financial planning needs. A CFP™ has a fiduciary standard to act in your best interest at all times. For example, The Harvest Group can help you assess the impact of Medicare on your long-term financial needs through their Harvest Wealth Management for Life™ service. “Having no premiums makes the co-pays easier to swallow,” Emerson said. “Not having a prescription plan results in penalties that will occur and follow you for the rest of your life,” Emerson added. Throughout its 50-year history, Medicare has helped retirees close the gap in healthcare coverage. Unlike Social Security, where you essentially choose your benefits once and are largely done. Medicare requires much more attention year in and year out. 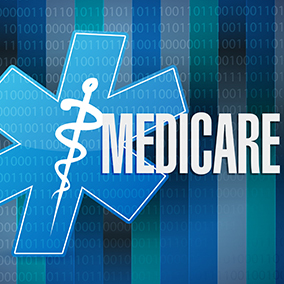 Even after you select your Medicare plans, you need to learn how to use them. This includes evaluating your options regularly, perhaps even yearly, to ensure you have the best coverage. By working with a Medicare specialist, individuals can learn to maximize their benefits in accordance with their needs, lifestyle and overall financial situation. Medicare Open Enrollment is a great a time to learn about your options whether you implement them next year or at any time in the future. Laurie E. Ingwersen is a Senior Wealth Management Advisor with The Harvest Group. She is a Certified Financial Planner™ Practitioner, CFP®, a Chartered Retirement Planning Counselor, CRPC®, and a Certified Divorce Financial Analyst, CDFA™.